GeriMedRisk® is a specialized service connecting clinicians with geriatric specialists to support better medication management for older adults. This research study will test the feasibility of using the service in long-term care. 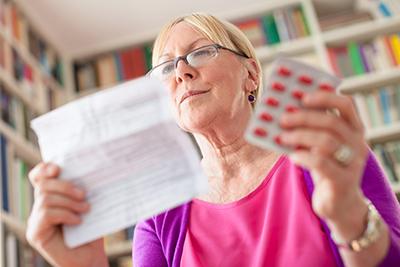 GeriMedRisk® is a specialized service connecting clinicians with geriatric specialists to support better medication management for older adults. GeriMedRisk® uses telemedicine and telephone technology to support clinicians across all settings and geographic areas. The purpose of this study is to test the feasibility of the GeriMedRisk® service before a large-scale trial in 14 long-term care homes across Southwestern Ontario. The results will help researchers determine if GeriMedRisk® will work for a group of physicians in long-term care homes. Researchers will see whether there are any differences in falls and drug-related hospital visits among older adults living in long-term care homes with access to GeriMedRisk® compared to those without. Since the pilot launch of the service in May 2017, GeriMedRisk® has served clinicians caring for older adults in long term care, primary care, hospital, and mental health settings. The service originated in the Waterloo Wellington Local Health Integration Network (LHIN) and has since received service access requests from clinicians in 4 additional LHINs. GeriMedRisk® is located in the RIA building, but partners with many other organizations and stakeholders. To learn more, visit the GeriMedRisk® website (www.gerimedrisk.com).